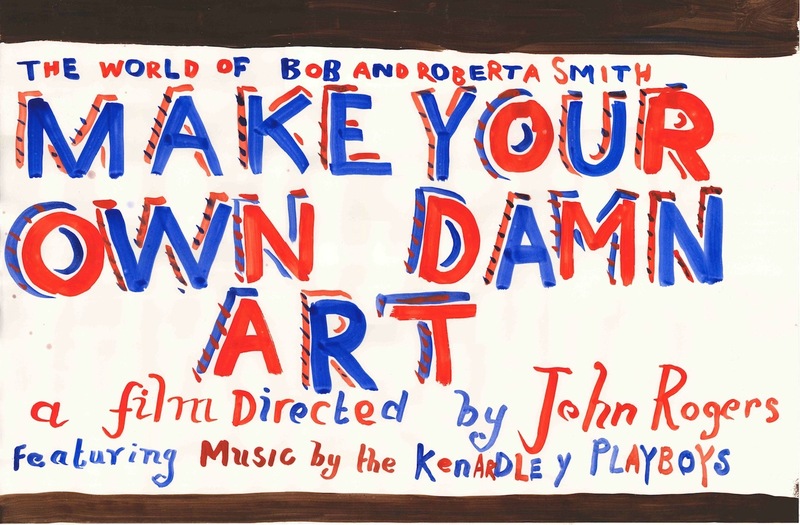 Make Your Own Damn Art is a feature documentary about artist Bob and Roberta Smith, by John Rogers. The film follows Bob over the course of three years from Leytonstone to Brooklyn, Walsall to Ramsgate. It will be screening from summer 2012 when London will be enveloped in the madness of the London Olympics – which is apt as Bob has designed a poster for the Paralympic Games. An amazing celebration of DIY culture. Keep it up, Bob!